A lot of you have asked for and we are happy to announce that Company Calendar is now available in cloud Bitrix24 accounts! This a shared calendar for all company employees that can be found both under Company & My Workspace sidebar menu. Account administrators can configure access permissions for users or user groups – e.g. 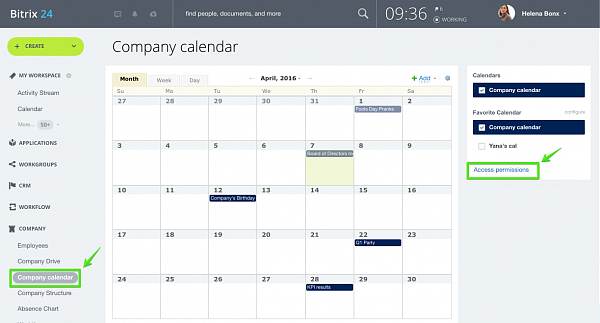 all account users can view company calendar events, but only administrators can edit events or have full access. 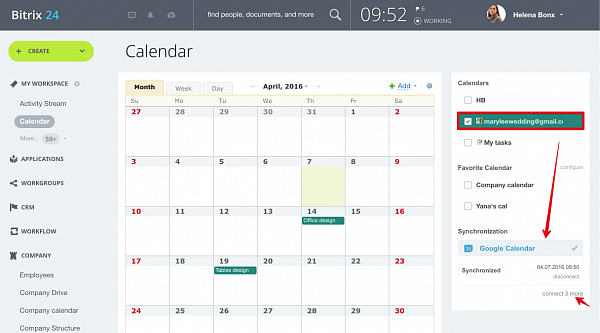 Now you can connect your Google Plus calendar to Bitrix24 in just a few clicks. Click connect Google Calendar, select Google account, allow Bitrix24 to access your Google calendar – that’s it! 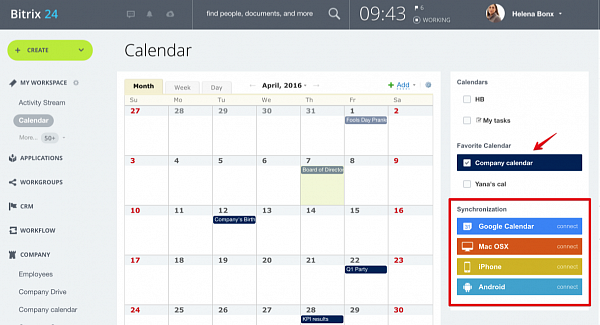 Now your Bitrix24 & Google Calendar events are synchronized. Are you treating your intranet as information dumping ground?